To bag or not to bag, that is the question! 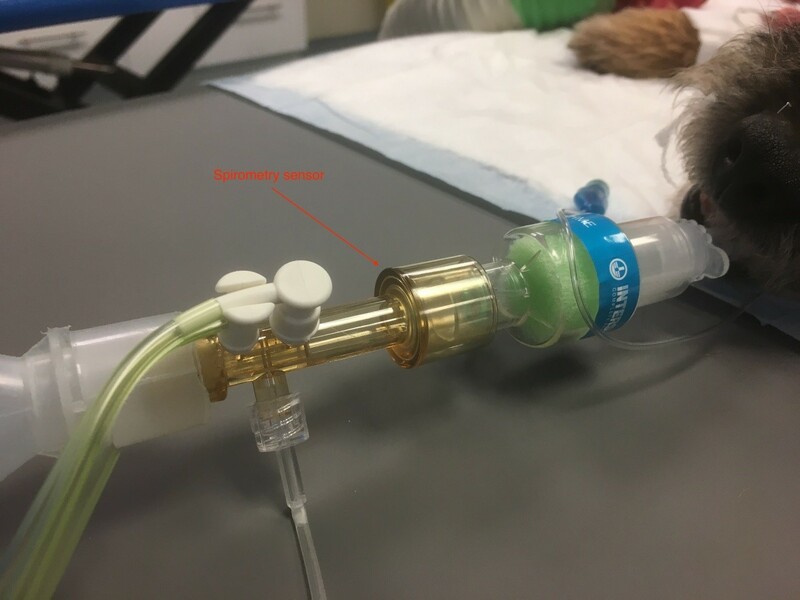 Manual bagging (squeezing the reservoir bag to create positive pressure ventilation) is a procedure that is very commonly performed during general anaesthesia in veterinary practice. (Figure 1). The endotracheal tube (ETT) should be tested prior to intubation, to ensure the cuff is functional and doesn’t have a leak. 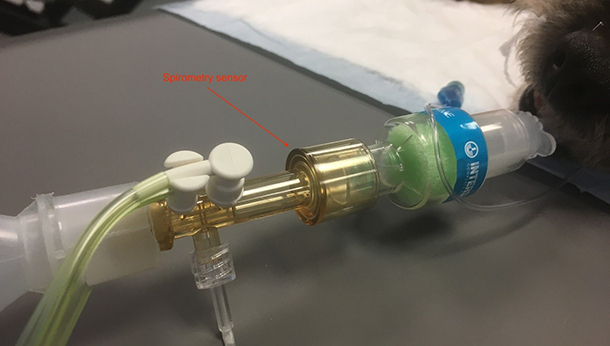 It is important that an adequate seal between the ETT cuff and the wall of the trachea is maintained during anaesthesia, and this is especially important during positive pressure ventilation. 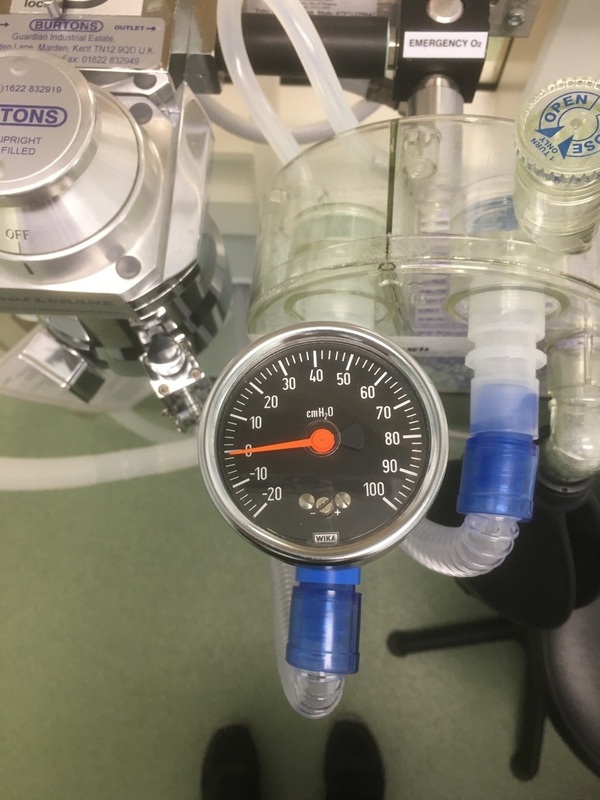 The breathing system used should be appropriate for the patient’s size, should be leak tested prior to use and then connected to the ETT. Not all breathing systems are suitable for positive pressure ventilation: The Lack and mini-Lack systems tend to lead to marked rebreathing unless very high fresh gas flows are used, and other systems should be chosen if available. During gas delivery, the adjustable pressure limiting (APL or pop-off) valve should be closed or partially closed. Observing the patient (and not the bag), the bag should be gently squeezed to achieve a ‘normal’ chest excursion. Following the breath, the APL valve should then be completely opened again until the next breath. Inspiration should be relatively fast compared with expiration. A common mistake is to slowly inflate the lung. Expiratory time should be approximately 3 times the duration of inspiration (I:E ratio of 1:3) and possibly even longer if the respiratory rate is low. For faster rates, this may be difficult to achieve and so an I:E ratio of 1:2 may be necessary. Any positive pressure in the thorax can have detrimental effects on the cardiovascular system and the lung itself (see below), and so minimising the time of inspiration will lessen these effects. If the lung can’t be inflated (the chest wall doesn’t move) but the bag becomes empty during the inflation, there is a leak somewhere. This could be around the ETT or somewhere in the breathing system (e.g. a hole in the bag). This is why the ETT and the breathing system should be tested prior to use. Make sure the APL valve has been closed appropriately. If the bag feels ‘stiff’, then there is increased resistance. This could be an occluded ETT (e.g. mucus, a kink). It may be some sort of occlusion in the breathing system (unlikely). Finally, it could be due to a poorly compliant lung. Poor compliance of the lung has many causes. Something as simple as the surgeon or assistant leaning on the patient’s chest may be the reason. It may also stem from pre-existing lung disease, such as fibrosis. However, it may also be an indication of something more serious, such as developing tension pneumothorax. Compression of the vena cava and aorta which reduces cardiac output and blood pressure. Impaired cardiac filling (tamponade), leading to reduced cardiac output and effects on blood pressure. Raised intracranial pressure (potentially problematic in patients with pre-existing intracranial pathology). Raised intraocular pressure (problematic in patients with pre-existing raised intra-ocular pressure or those patients at risk of globe rupture, e.g. deep corneal ulcers). Use a manometer in the breathing system (Figure 2). This is a simple pressure monitoring device that tells you exactly how much pressure you are applying to the animal’s chest. Intra-thoracic pressure should be kept below 20 cmH2O for healthy patients. Some patients may require more pressure in order to be able to deliver an effective tidal volume (e.g. a patient with gastric dilation, during pregnancy or very obese patients positioned in dorsal recumbency). Don’t forget to open the APL valve afterwards. Inadvertently leaving the valve closed can expose the lung to extremely high pressure and will lead to any or a combination of bradycardia, hypotension or complete loss of cardiac output, tachycardia and cardiac arrest. If the fresh gas flow rate into the breathing system is high, then pressure will build up during APL valve closure. If the lung is to be held inflated (e.g. during thoracic CT), the flowmeter should be turned off during this time to minimise the risk of high pressure developing in the system. Don’t forget to turn it back on! Full physiological monitoring should be available for ALL anaesthetised patients. Adequate monitoring during manual bagging can identify problems so that they can be dealt with before they develop into something that may be catastrophic. 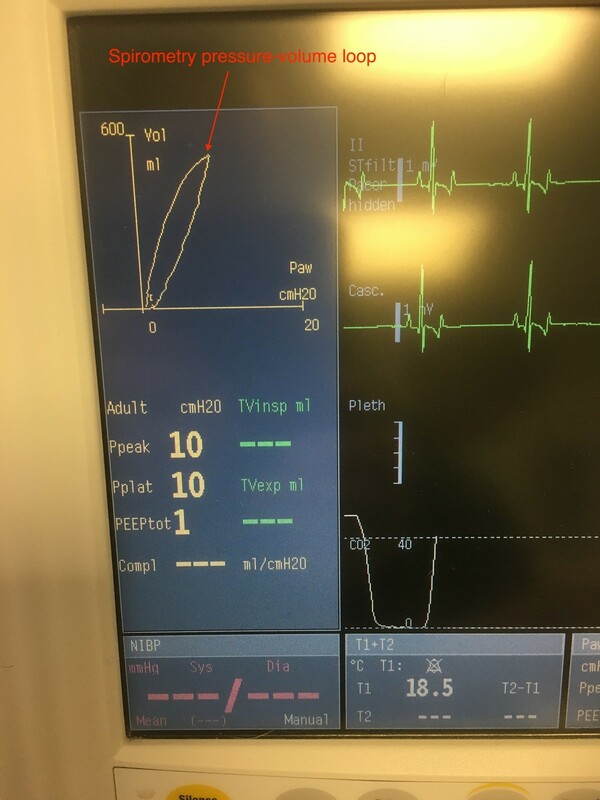 Capnography is probably the most important monitor when ventilating patients. End-tidal carbon dioxide concentration should be used as a guide when ventilating and should be kept (as a general rule) between 35 and 45 mmHg in both dogs and cats. 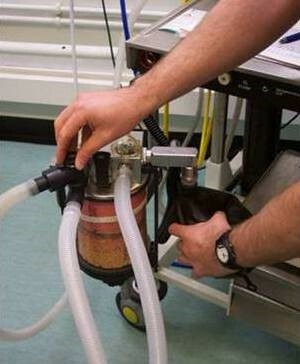 NEVER fill the bag using the oxygen flush button whilst the patient is connected to the breathing system. This can expose the patient’s lung to extremely high pressure. Additionally, pressing the oxygen flush button bypasses the vaporiser and reduces the concentration of anaesthetic vapour in the system, potentially leading to awakening. Manual bagging of an anaesthetised or otherwise unconscious, intubated patient can be life-saving. An understanding of the physiological consequences of positive intra-thoracic will ensure appropriate ventilation with few adverse consequences. Monitoring is essential in order to tailor ventilation to the patient and to detect any adverse effects early so that complications can be minimised.